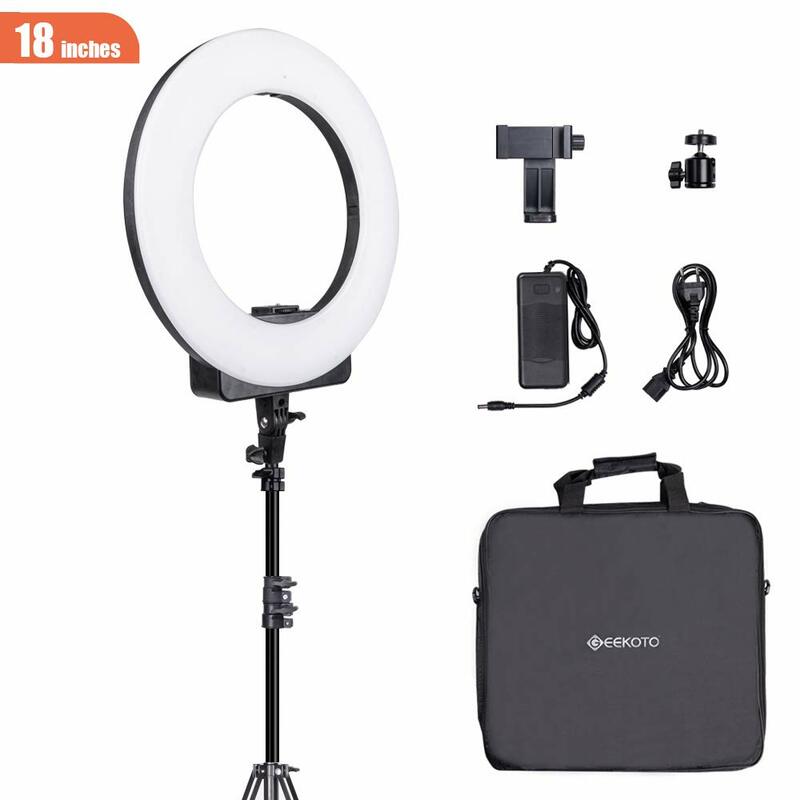 Professional Design-This ring light contains 576pcs LED lamp beads. 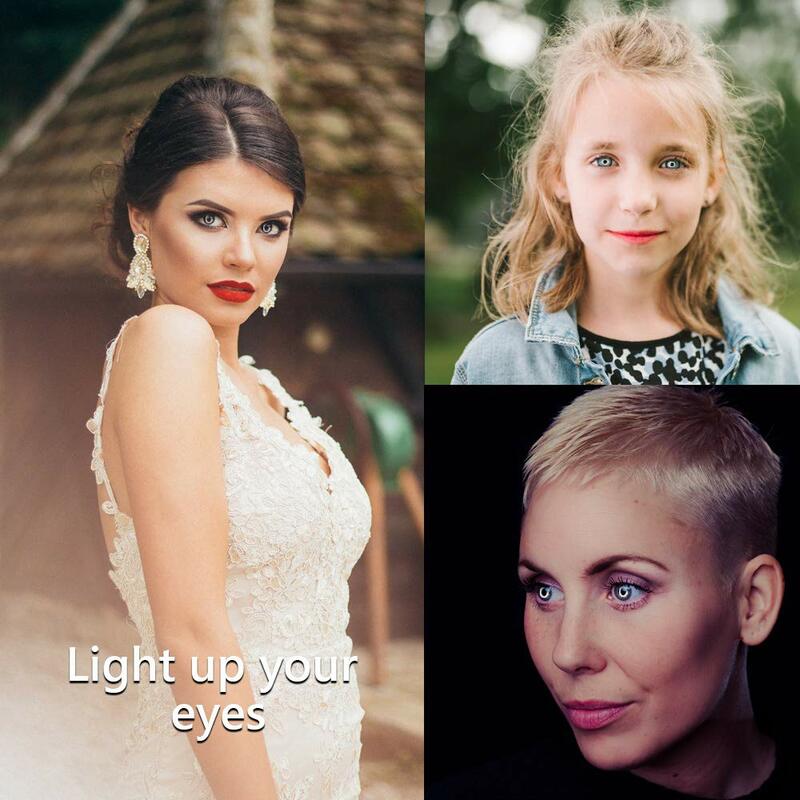 We use the thickest flitter to provide soft light to eliminate shadows and light up your eyes! 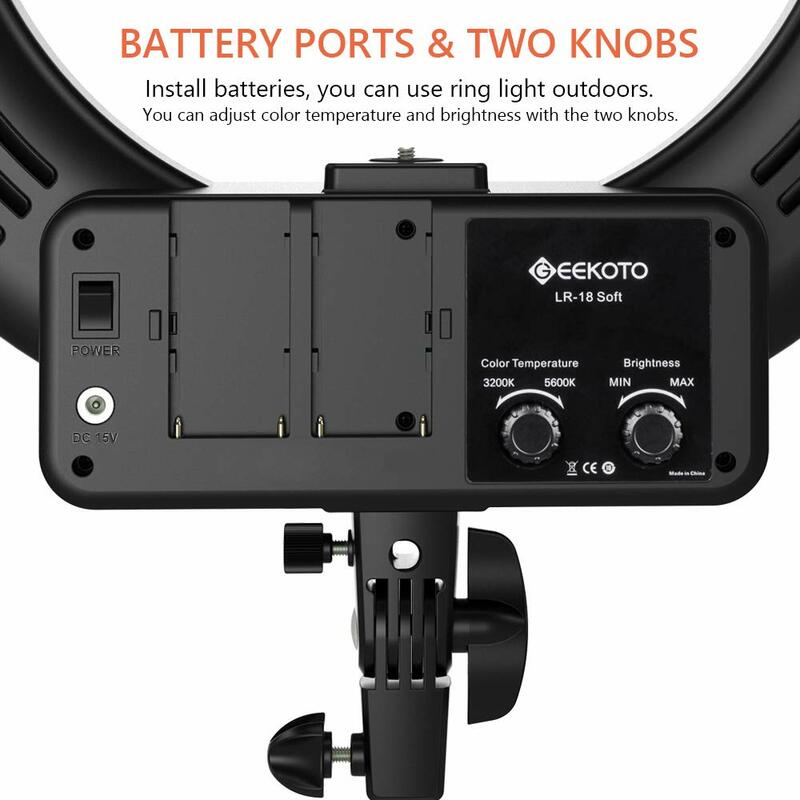 With a new circuit board, you don’t need to replace the filter set, adjust the color temperature and brightness with two knobs is more convenient. 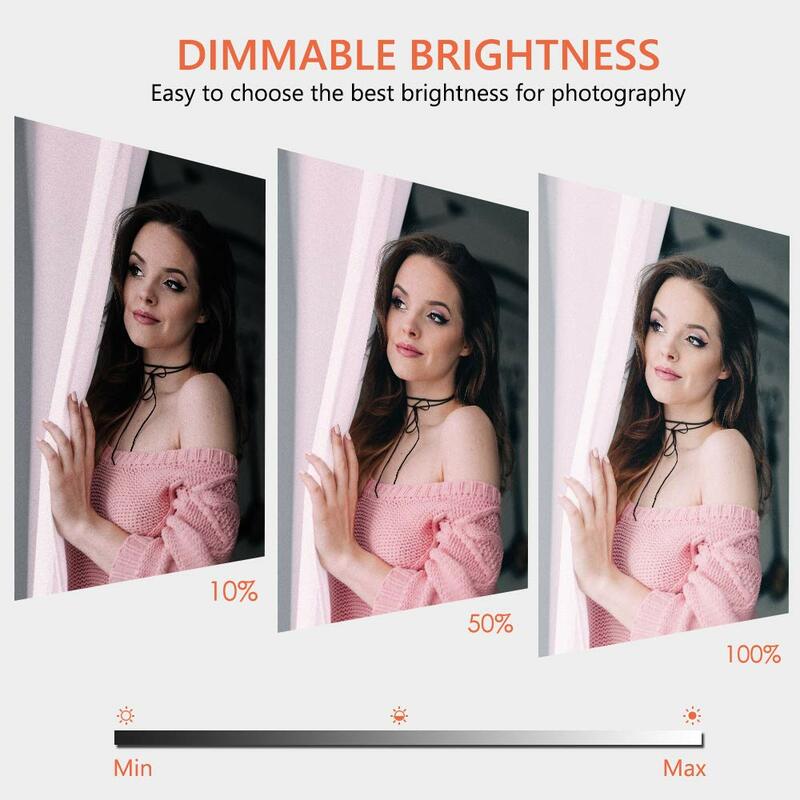 The light head can rotate 180 degrees, which allows you to choose the most appropriate angle. 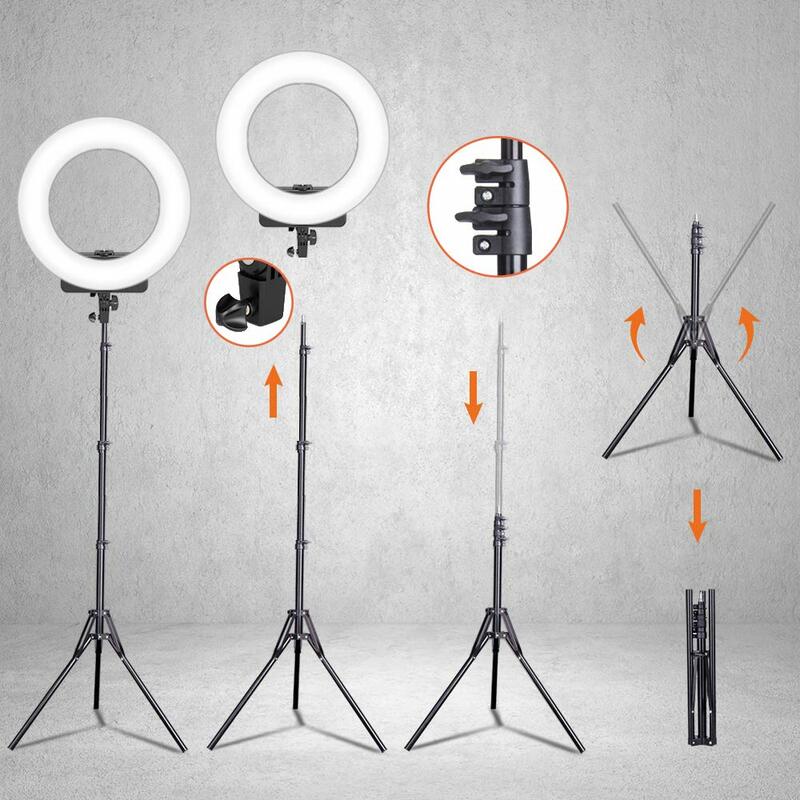 Flexible Stand & Easy Carrying-The ring light is equipped with an aluminum alloy stand, which allows for height adjustment and flexible 360-degree rotation, so you can choose the best height and angle as you need. 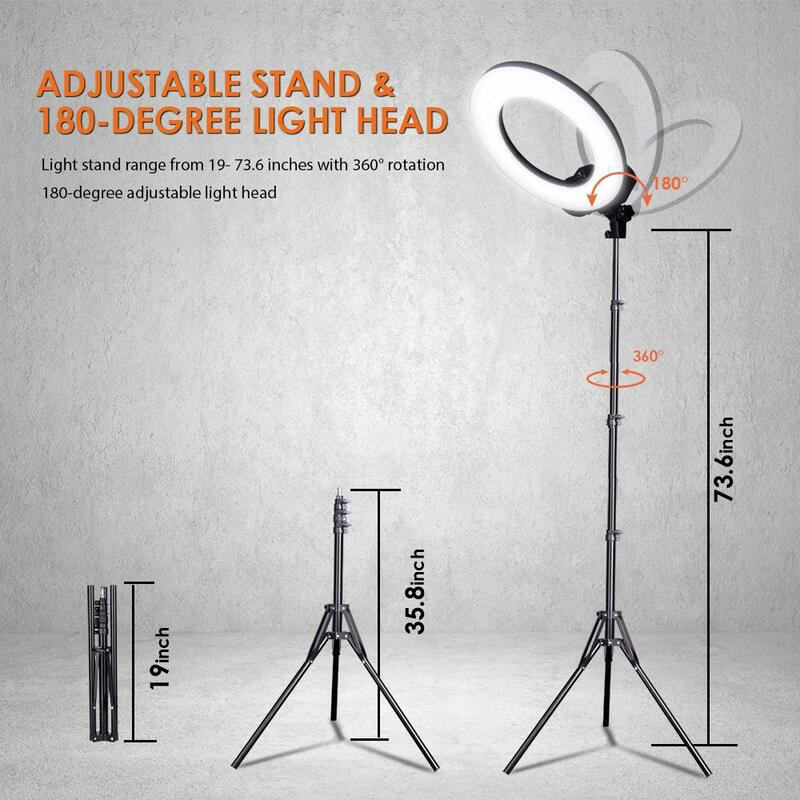 The height of the stand range is from 19 inches to 73.6 inches. 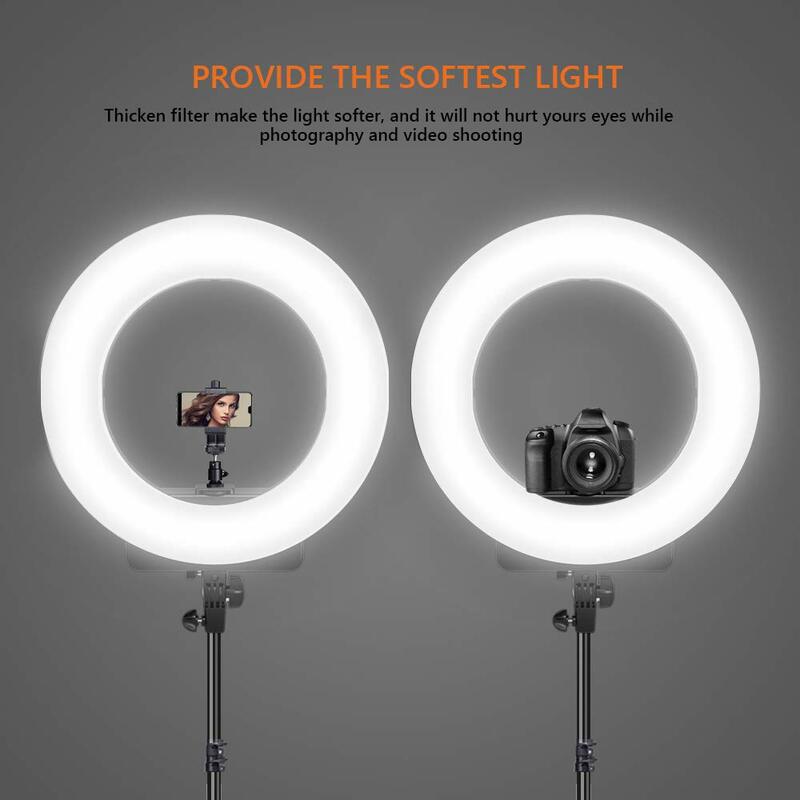 The ring light’s outer diameter is 18 inches and the inner diameter is 11.8 inches. 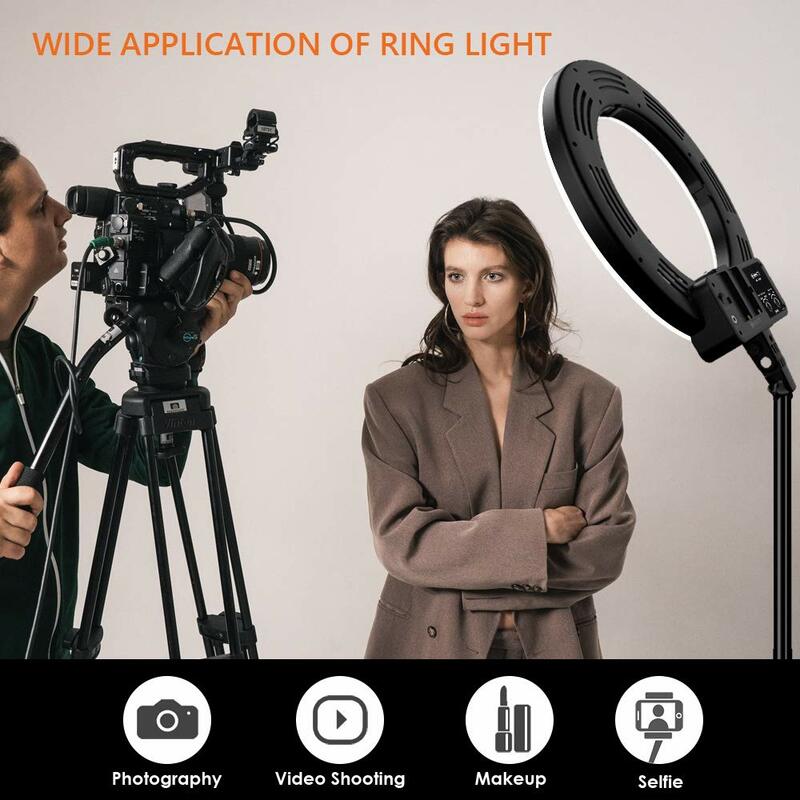 You can transport this ring light with the travel bag where you go. 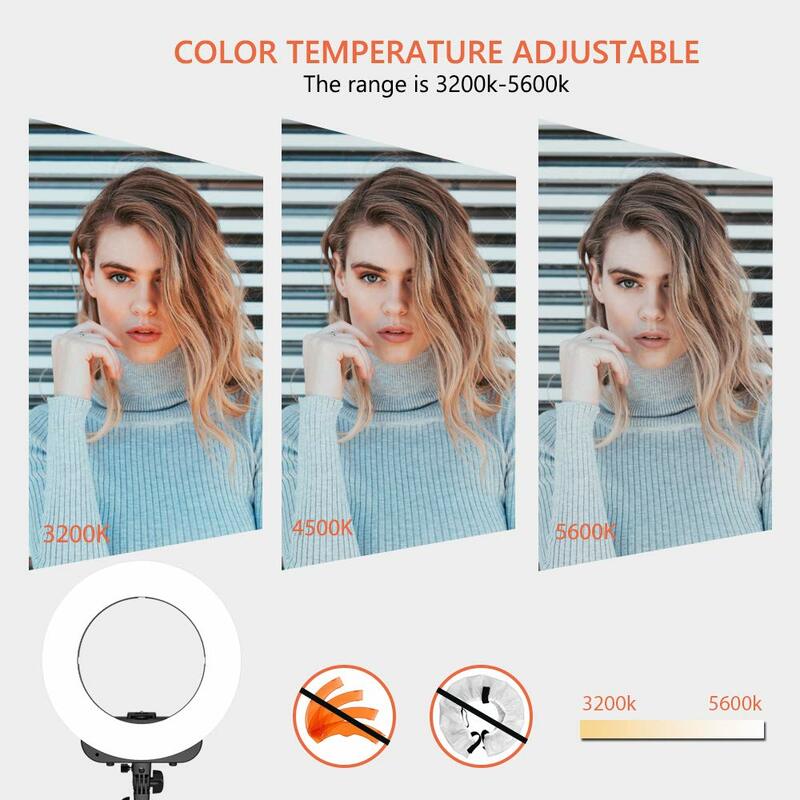 Any question,feel free to contact us by email.